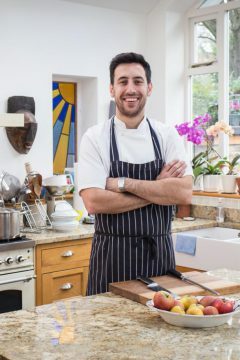 Philip Juma Archives - Andrew Nurnberg Associates International Ltd.Andrew Nurnberg Associates International Ltd.
Philip Juma is a British Iraqi chef, and the founder and brains behind JUMA Kitchen. Philip’s path into food was unlike that of many of his peers. After studying Economics for Business, he worked in the city for a number of years, and spent his weekends fuelling his passion for food, working at street food stalls and restaurants including French & Grace, Ben’s Canteen, Wild Game Co., Ishbilia, The Savoy, MAZE and Nopi. In 2012, Philip hosted his first Iraqi supper club and he was hooked – JUMA Kitchen was born. For the past four years, Philip has been hosting sell-out supperclubs at venues across London, bringing his experience of modern cooking techniques and the contemporary restaurant scene to traditional Iraqi dishes. He writes a column for the Evening Standard and also hosts regular food demonstrations at London’s Borough Market.